Tax ID# TA-085-120-8192-01. Permit # STWM2013/0009. 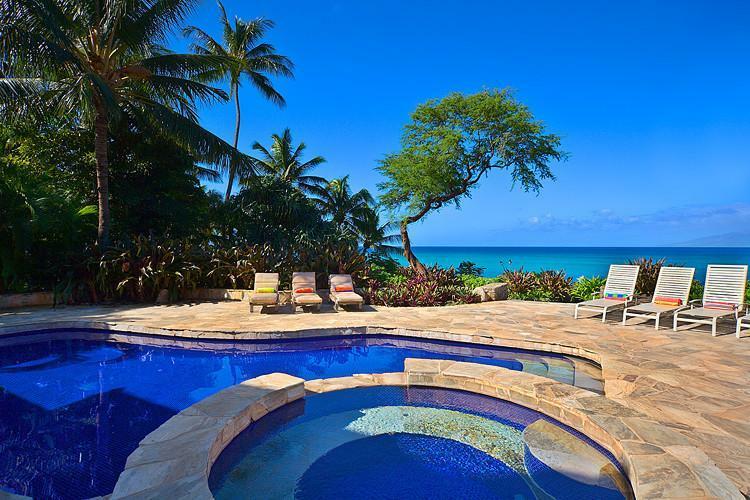 Ocean Front setting with spectacular views. Jacuzzi and Pool with 180 degree ocean and sunset views. A meticulously manicured acre shared only with turtles and whales (seasonal). $4,000 per night. 50% down to hold a reservation. Balance due 45 days before check-in. $5,000.00 security deposit. $850.65 cleaning fee. 4% processing fee. Listed rates do not include tax. Holiday and peak season rates and required length of stay may be different than quoted above. Credit cards, cash, checks and wire transfers accepted. Minimum night stay varies amongst the various rental units. Many rentals have 30-night minimums. Permit number: STWM2013/0009. Tax number: TA-085-120-8192-01.